Established in 1989 and based in Brisbane, Queensland University of Technology (QUT) is a major Australian university that is known for a strong focus on applied research. 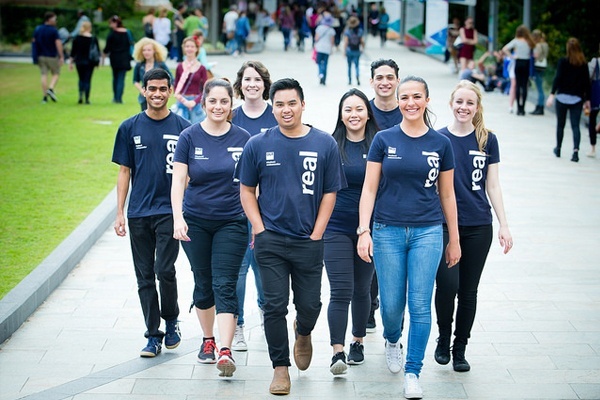 Highly regarded for the quality of education it provides, QUT falls within the top 10 universities in Australia, and first among Australian universities under 50 years of age according to the 2013 edition of Times Higher Education ranking. Subject Strengths: Business, Creative Industries, Education, Health and Biomedicine, Information Security, Law, Science and Engineering, and Sustainable Resources. Scroll down to see our current undergraduate and postgraduate programmes. If you have more questions, our official representatives from Singapore can assist you with enrolment, scholarships, credit exemptions and student visa matters. Located next to the Brisbane River and the Botanic Gardens, QUT Gardens Point is Brisbane's inner-city university campus. The $230 million Science and Engineering Centre is a world-leading model for teaching and research in science, technology, engineering and mathematics. It also includes, food and retail spaces, swimming pool and gym. The campus is also home to the Gardens Cultural Precinct, which includes Gardens Theatre, QUT Art Museum and Old Government House See below for a list of amenities near our campus. The award-winning Kelvin Grove campus features the innovative Creative Industries Precinct and the Institute of Health and Biomedical Innovation (IHBI), a world class education and research facility. The campus is also home to QUT international College. Located only two kilometres or 19 minutes north of the Brisbane CBD, the campus is part of the Kelvin Grove Urban Village, which includes student apartment complexes, a supermarket, shops and restaurants. See below for a list of amenities near our campus. Our Caboolture campus is the only university campus in the Moreton Bay region, providing tertiary education to the growing population since 2002. Students enjoy a community atmosphere, centrally located just a few minutes' drive from the centre of town and Caboolture train station. See below for a list of amenities near our campus. Jeffrey Tan is a gifted theatre director, artist, educator and cultural producer, who has made a major contribution to the development of Singaporean arts and culture over the past 15 years. He is currently Head of the national arts council’s Singapore Arts Festival, and was previously the Head of Drama at LASALLE College of the Arts. Jeffrey holds a BA (Drama) from QUT, and won the Creative Industries 2012 Outstanding QUT Alumni Award recently. "Danish international student Vicky will show you the campus and how she lives at an Australian family's house." 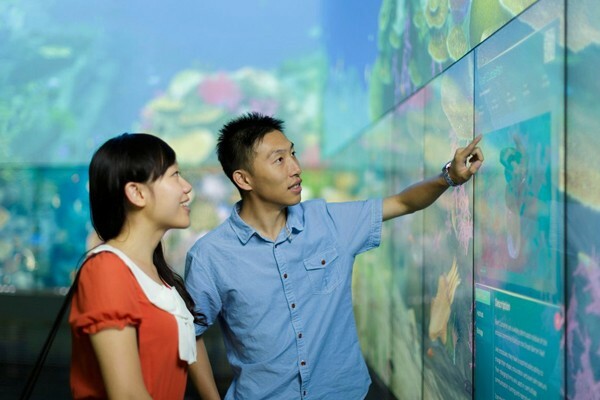 "Queensland University of Technologys (QUT) innovative digital interactive learning exhibition space The Cube, has installed 48 x 55" unlimited touch Cell displays, making it the worlds biggest multi-touch installation."